WordPress plugins are the easiest way to add functionality to your blog. Below is a list of few wonderful plugins that can make your site come to life. As it’s name suggests it keeps backup of your site database and code automatically. Yo can set your preferred duration, email address to get notified on each backup, and also download limits for each backup. By default it saves last 10 backups on the server. It can be very handy when it comes to automated backups. Site Security is one of the most critical factors once you site gets popular. 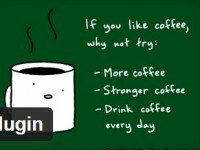 This wordpress plugin helps in limiting login attempts by way of cookies and IP adress blocking. It can make your site more secure and foolproof by making bruteforce attacks more difficult. Akismet is the most popular spam filter when it comes to wordpress. It can take care of all the spam while you prepare your next post. It uses a web service to filter spam on your website so you don’t have to worry filtering comments and trackbacks anymore. Twitter is one of the most popular social networking platform. 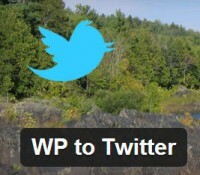 This plugin helps to automatically tweet each post with tiny url service integration of your choice. You can also edit how prefix and suffix for each post. It makes very easy to let your followers know of every new activity on your website. When blogs become to heavy it’s very difficult to find a post that you might be interested in. Yet another related post plugin is a simple and unique plugin which checks you database for similar posts, it uses a unique algorithm to show related posts so that a visitor never misses a post he might be interested in. You can also switch between thumbnails and links when showing the block for related post. 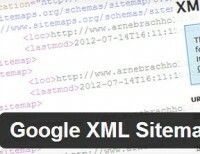 Google XML Sitemaps helps to generate special sitemap for your blog. This plugin makes it pretty easier to generate sitemap the way you want and thus helps in better indexing of the website in search engines.